I know I've said to you (a lot) that I feel incredibly lucky to be a blogger; but there are some occasions where I literally cannot believe I get to have so many great experiences because of well, my hobby. 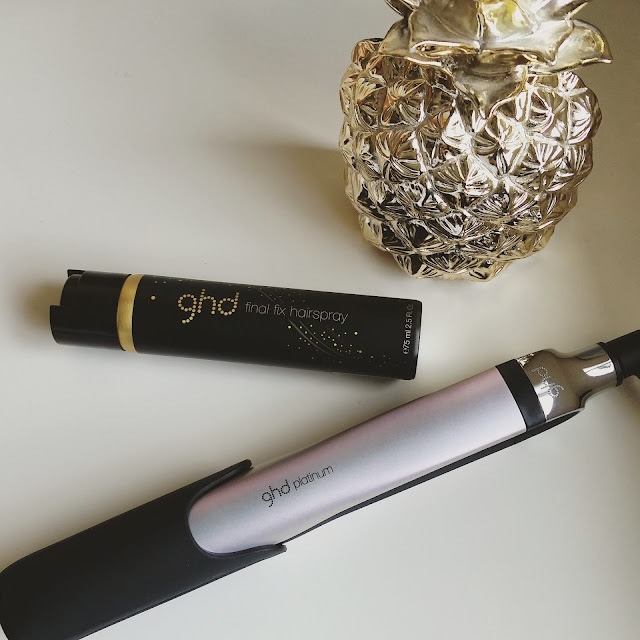 A few weeks ago, I had yet another amazing afternoon with a brand that I been in love with for the past 10 years; GHD. Most people I know own at least one thing from GHD, for me it was of course my straighteners. I got my first pair when I was 16, way back in 2005, when hair straighteners were relativity new to the consumer market. God knows how I managed before them, lets just say, my prom hair had a lot of....volume. They were pretty big, but did the job and the new 'ceramic plates' that everyone was talking about, really did appear to be more gentle on my hair. I've never looked back. 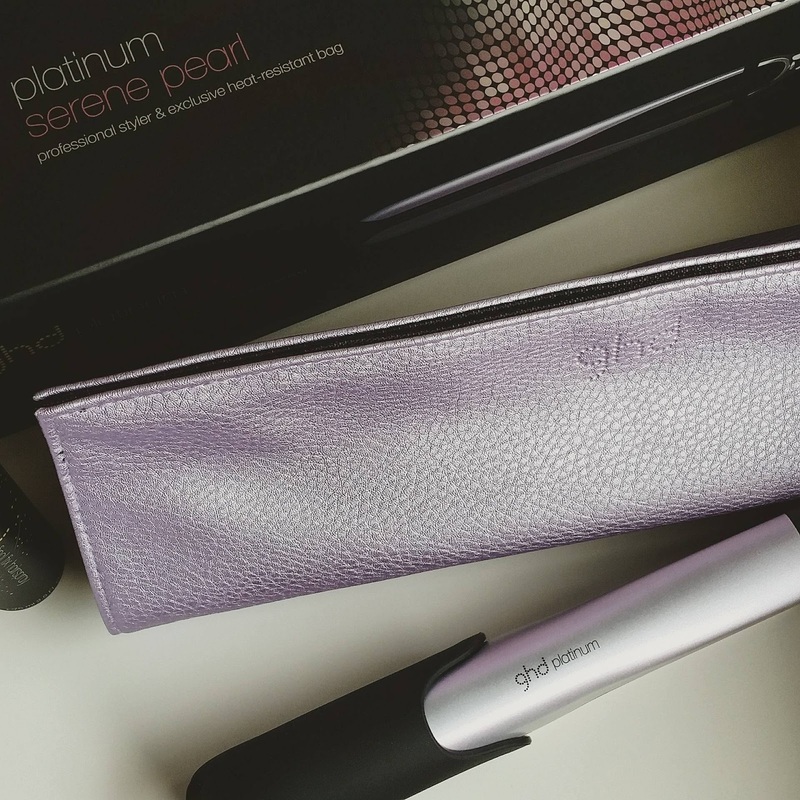 I got my current pair in 2008 when the new smaller, curved barrel style came out, and I still used them until last week, when I was given the brand new GHD Platinum Serene Pearl strighteners (omg I know!). 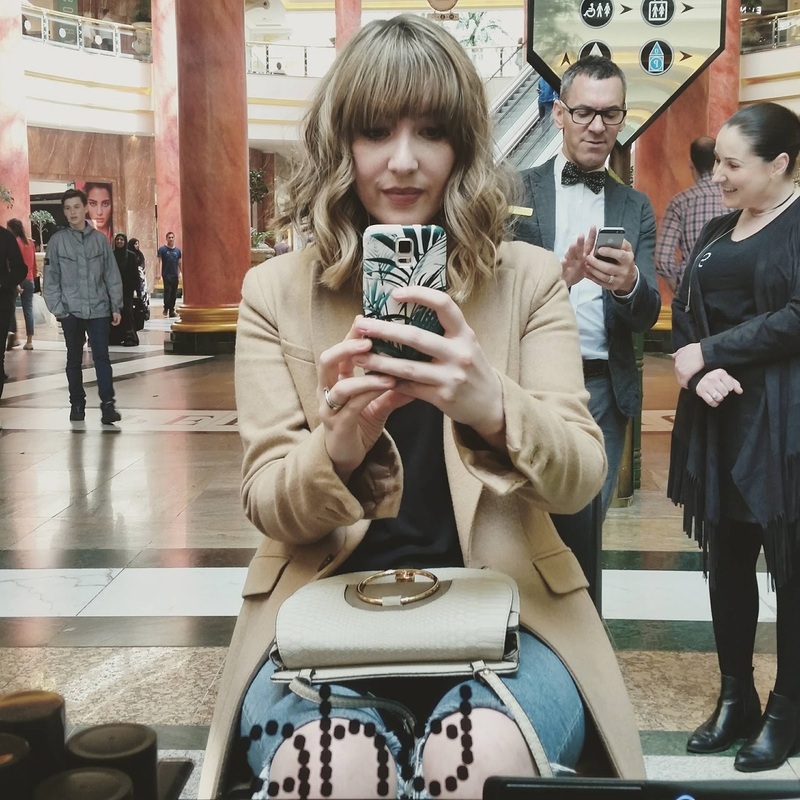 When I was invited down to Selfridges in the Intu Trafford Centre, I was just excited that GHD were having a styling station and I would be able to get a hair make over, little did I know that I would be given a brand new pair to take away with me! I had my hair styled by the super talented Grant, who made my flat and very much in need of a cut hair, into bouncy shiny curls! 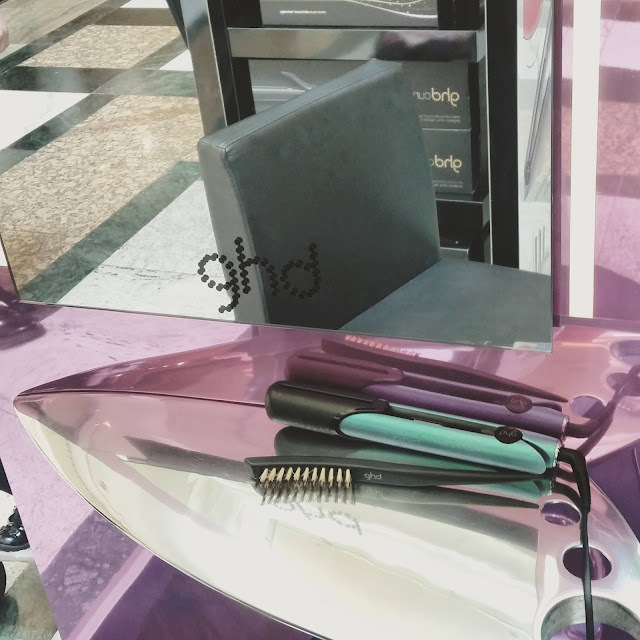 I didn't realise just how much GHDs had changed and evolved in the past 10 years. I had created curls with my old stylers, but they were always flat and dull, but the new curved barrel and easy to hold handle, makes it easier than ever to create any look you want! The new technology in the Platinum stylers means that your hair breakage is reduced by 50% and increases the shine by 20%, something that I notice instantly! Not only do they do amazing things; they also look incredible. They come in a heat resistant bag, so they are so easy to pack away, and they also have a 30min timer, and will automatically turn off - such a life saver, I have had to run home on numerous occasions when I've left my plugged in! It's easy for my to praise GHD. With their products coming with a 2 year warranty, you feel secure in knowing you are getting real quality. Even though my beloved straighteners were ancient; they were being used daily up until the Serene's joined the fam, and I know I could have continued to use them for years. That's the long lasting products you get from such a great brand. Yes, they're not the cheapest straighteners on the market, but they are without doubt the best. I can honestly say that I will use my new babies every day for a long long time. I wanted to say a massive thanks to all the team at GHD Selfridges at the Intu Trafford Centre, they truly pampered and looked after me, and I had such a lovely afternoon with them.